Dear fans and friends I would like to share the idea for the creation and implementation of this site. My name is Catherine Chankova and I come from Bulgaria, Sofia. This is a story that goes back to the period when I was five years old. Since the time when I was younger I have been fed with rock music. One day as my father likes to do played tracks from few great performers. 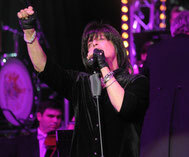 He played a song by Rainbow called “Can’t Let You go” in the performance of Joe Lynn Turner. I remember the moment when I heard this song for the first time. From that moment - the band, the artist and the song became my favorite. Up until now I live with this feeling. Аs every fan I have always had desire to meet Joe, but I have never imagined that one day I will have the opportunity to meet him in person although briefly. This was one of the most beautiful and unforgettable moments in my whole life. This meeting of ours inspired me so deeply that I have never stopped thinking about it. One day I got inspired by the idea to create this website. This is one of my fulfilled dream and I sincerely hope you will all enjoy it. I did it from the bottom of my heart and respect for this man and his art. 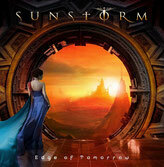 I would like to sincerely thank for the great assistance and support of the management team of Joe Lynn Turner.